Two potential shapes of rack tabs. The first one is a little boxier, the second is more nicely rounded. 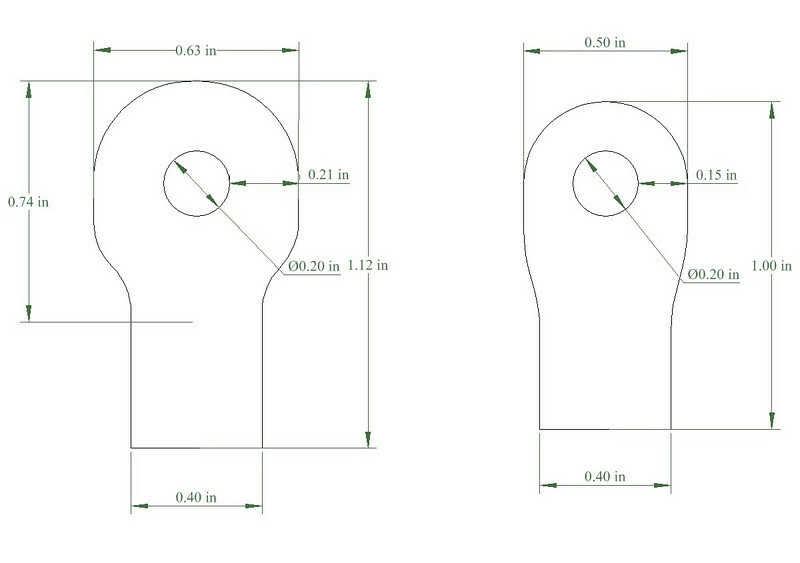 They'd be made out of 1/8" thick 1018, and I might add an option for stainless (304 or 316). The tab is designed with an M5 hole, but with enough material to drill the hole out to M6 for really big racks. The cost should end up being $2-$2.50 ($4-$5 per pair) each depending on how many I order.